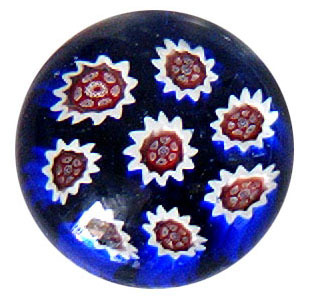 Little flowers created from the millefiori canes in a bed of blue create these paperweights in Murano. Size is about 2 1/2" diameter by 1 1/2 " tall. Each piece slightly different.